THERE IS AN ancient anecdote, probably apocryphal, according to which the adolescent Thucydides was reduced to tears by listening to Herodotus lecture. I have always suspected that his reaction was due not (as the anecdote clearly indicated) to admiring wonder, but rather to precocious intellectual irritation. At all events, he grew up to advance a conception of historical writing that might have been designed to denigrate the methods of his famous predecessor: rational, secular, restricted to the public business of diplomacy and war (and thus to those upper-class commanders and politicos whose exclusive business—pace Lysistrata—such matters were held to be), and ignoring the whole area of private life, women in particular. Until very recently, this clubbish, ultra-masculine view of historiogaphy held the field virtually unchallenged. But then something happened. The feminist movement, among other things, bred some excellent ancient historians—of whom Jenny Roberts is one of the most distinguished—and they took a new and more critical look at the Thucydidean template. Ethnographers and comparative sociologists, who had always acquired comparatively slim pickings from Thucydides, suddenly realized that Herodotus, from their point of view, looked staggeringly modern. Too long dismissed as an unserious teller of entertaining tales, a patriotic popularizer with a superstitious respect for omens and oracles, always prone to see divinity at work in the regulation of human affairs, and with a regrettable partiality—cherchez la femme!—for the role of women in society, and not just in the bedroom either, Herodotus began to be refurbished, at long last, as a serious, and in ways extraordinarily contemporary, historian, not only of the Greco-Persian wars but also of a whole range of ancient Mediterranean cultures. This new Herodotus has stimulated a tremendous outpouring of good and exciting professional research, by scholars—no accident, I suspect, that a high proportion of them are women—such as Carolyn Dewald, Virginia Hunter, Rosaria Munson, Rosalind Thomas, and Jenny Roberts herself. What has been missing until now, in the English-speaking world, is a clear, comprehensive, and well-grounded introduction, designed for the general reader, to the historian newly revealed by their combined efforts, shining in all his fresh colors rather like a carefully cleaned Quattrocento painting. It is a pleasure to be able to say that Roberts’s short yet cutting-edge survey fills this need with remarkable percipience, learning, and a dry, ironic wit that matches that of her author. Listen, for example, to her illustrative British parody, when discussing Herodotus’s penchant for gathering random details into imaginative generalizations: “England being a very cold country, the Londoners live on a food they call curry, eating it all day long. ... This food they get from India, and it is carried from there on the backs of the dogs one sees all over Britain. This, it seems to me, must be the reason for the great affection the Britons bestow on dogs.” The mix of shrewd criticism and genuine affection is as rare as it is welcome. Inspired by no muse or deity, commissioned by no king, using personal observation, oral tradition, the few texts and inscriptions available, and his own native wit, Herodotus set out, in plain prose rather than traditional verse, to sort myth from fact, to compare and contrast social customs, and ultimately to answer, if he could, the great question of his day: how did the Greeks and Persians come to war with each other, and what accounted for the Greek victory when the Persians so conspicuously had the advantage in both men and money? In other words, almost ex nihilo, he invented historiography. Roberts describes him, rightly, as “of insatiable curiosity,” a phrase now virtually inseparable from the Elephant’s Child in Rudyard Kipling’s Just-So Stories. She begins by placing him in his hybrid world—Halicarnassus, his birthplace, stood at the crossroads of East and West, between Greek coastal colonists and the old Anatolian caravan routes into Asia—and speculating, as others have done, on the broader vision that such a background would give him than that offered by the polis (city-state) society of the Greek mainland. 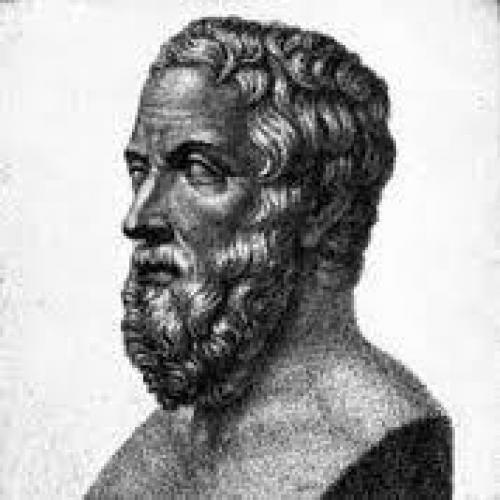 In addition, contemporary Greek thinkers among the Ionian settlers to the immediate north of Halicarnassus were in a ferment of creativity: speculating on the origins of matter, attacking simplistic notions of religion, and, perhaps most important, establishing the medical tradition associated with the name of Hippocrates, who worked on the nearby island of Cos. It seems clear that Herodotus took a good deal of Hippocratic methodology and revamped it for his own purposes: as Roberts says, “Eyewitness observation, interview, evaluation of evidence, the use of analogy, and a cumulative analysis of data linked Herodotus’s work to the world of the physicians.” He also borrowed their environmental theories about the effect on societies of climate and geography. Yet at the same time he learned a great deal from Homer and other poets (poetry formed the basic core of Greek education): not just how to frame the development of a war or the wonders (thomata) of a traveler’s tale, but also the presentation of reported speech, how best to dramatize events and pace a narrative. His obsession with origins took a universal, but unreliable, pride in ancestry and used it to develop, and to sharpen, the tools of source criticism. Sensibly, Roberts devotes only one chapter to the actual conflict between Xerxes’s massive imperial expeditionary force and the Greek states: this narrative has been done to death in the past, remains the most immediately comprehensible section of the Histories, and has undergone the least change in interpretation (Thermopylae in Roberts’s account is still a moral victory, compared by her—tongue not in cheek, as far as I could tell—to Byron in Greece and to the Alamo). This leaves her room to devote a chapter each to aspects that really have seen change: Herodotus’s cultural relativity as an ethnographer (yes, he does condemn on occasion, but not so harshly as the great anthropologist Malinowski); the frequency (375 references) of women in his narrative, used by Herodotus “to illustrate the dangerous proclivities of men, but at the same time ... as actors in their own right;” the historian’s ambivalent attitude to the divine, see-sawing between genuine traditional respect for the gods and Ionian skeptical emphasis on the human dimension; Herodotus as story-teller (a good deal subtler, and far less silly, than the old conventional wisdom had it); and Herodotus, finally, as historian (more solid on fact than Pritchett’s “Liar School” would maintain: “In the end, the amount of accurate information in The Histories is amazing in the light of the many obstacles that stood in the way”). Built on a vast but unobtrusive bedrock of fine scholarship, its research up-to-date, its judgments and interpretations well-balanced, its obvious affection for its subject never getting in the way of a necessary correction, its tone as amused, ironic, and humane as Herodotus’s own, this little volume is as near-perfect an introduction to the Father of History as one could hope for: the general readers for whom it is intended can count themselves lucky, and—experto credite—scholars may learn a thing or two from it as well. Peter Green is an ancient historian, and a member of the classics department at the University of Iowa. He has recently completed a new translation of Herodotus, and is writing a commentary to accompany it.